What is Maddie Ziegler doing now? 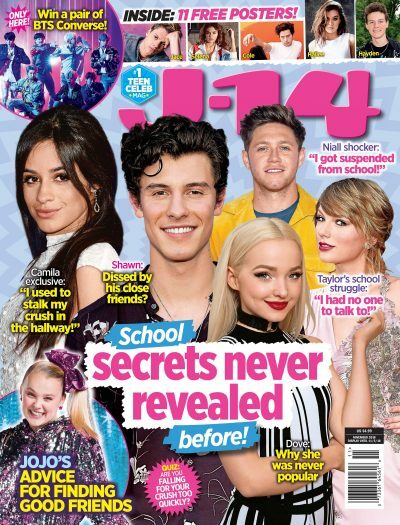 J-14 caught up with the Dance Moms alum at the 2017 iHeartRadio Music Awards, and got the deets on all the star's latest projects. The dancer broke into the mainstream showing off her chops in Sia's music videos, and now she has a slew of new acting projects in the works. Is anyone surprised that she's killing it in the entertainment biz? The multi-talented actress dished all about her first feature film, The Book of Henry, and her animated role in the upcoming movie Ballerina. The starlet revealed that she's super excited for the latter because it's totally different than her real-life persona. Want to see her voice a completely opposite character? You need to watch it! Are you excited to see what Maddie does next? Sound off in the comments below!